The closing system on the planter has so many different options. Force, wheel type, wheel position, add a drag chain or not. And even with all of these possibilities, there is no visibility to if you are doing the job right across the changing environments of a field. There are 3 keys to closing density management: no slotting or air gaps, a mellow path to the surface, and retain soil moisture. Most closing combinations that are on planters today accomplish one of these three things, but not all. 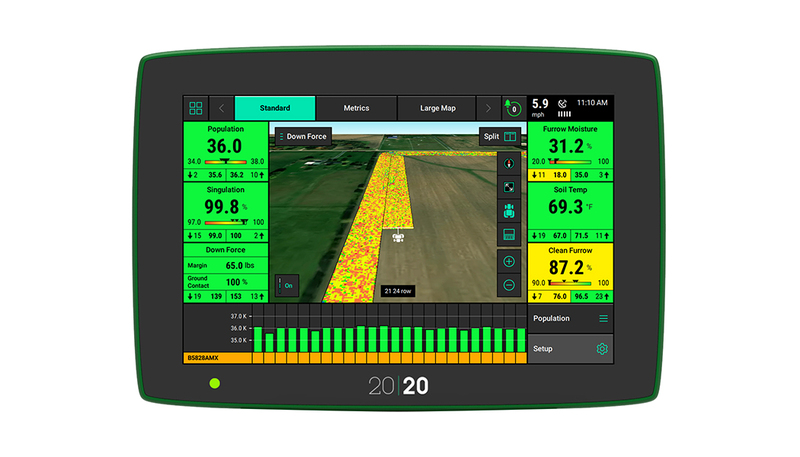 The all new FurrowForce is an automated row by row control system that provides visibility to closing performance on a 20|20 display in the cab. 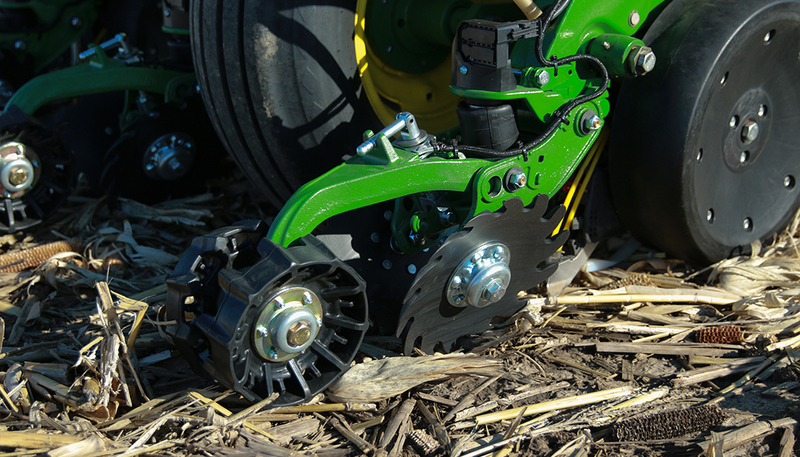 FurrowForce uses 2 stages to both close the furrow and manage soil density- The first stage pinch wheels are set wider than traditional systems and move soil horizontally to remove air gaps. Following are the second stage stitch wheels that create the proper soil density for moisture retention and speedy germination. The stitch wheels have a load cell which measures the weight carried on them. When there is weight on the stitch wheels, it ensures that the first stage pinch wheels are cutting into the soil at the proper depth. 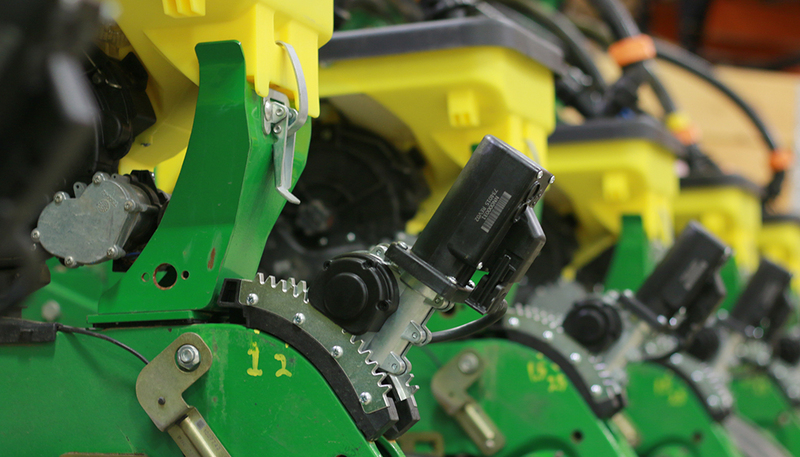 A control valve on each row pairs with the load cell to change the force applied to FurrowForce to maintain consistent soil firming across the planter and in changing environments in the field, with sub-second response time. This video provides a bird's eye view of FurrowForce. 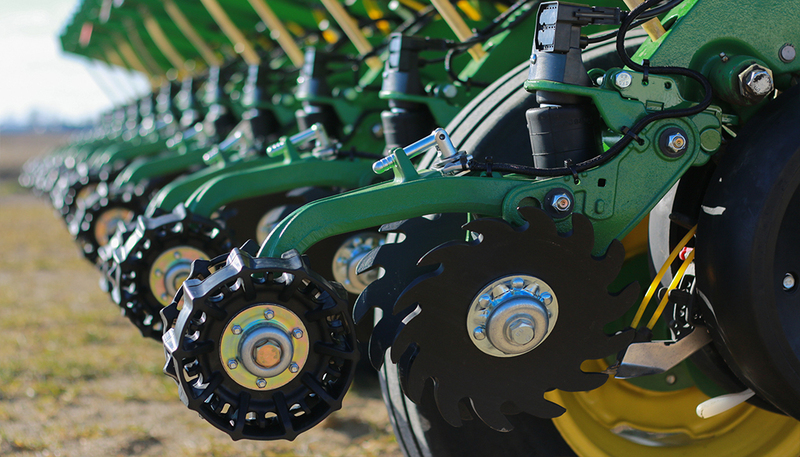 The notched wheels completely close the furrow while the second stage firms the soil. 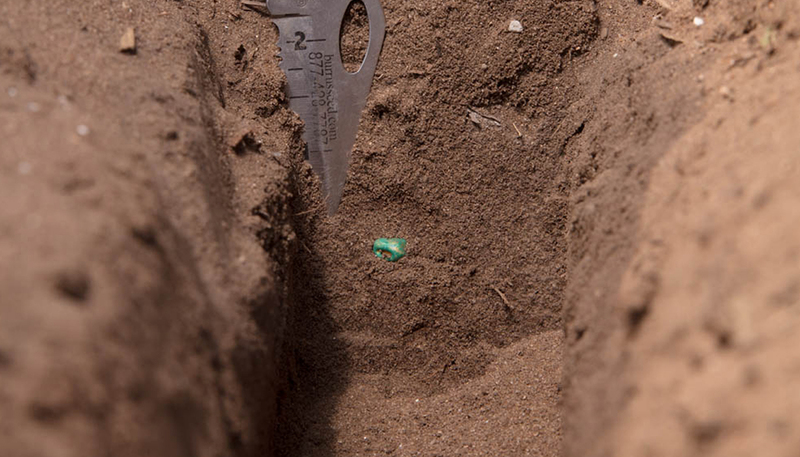 In both conventional tillage, easy to close environments and hard to close environments, FurrowForce has shown yield improvements by removing air gaps and retaining soil moisture. FurrowForce will be a Beta product for the 2019 growing season.